Ford workers at the plant in Oakville are expecting more generous wage provisions for new hires. Ford Motor Co. and Unifor have yet to resolve any of the major issues pertaining to economics and investments ahead of Monday’s strike deadline, union president Jerry Dias said. Dias, speaking Thursday with Automotive News, said Ford executives have continually expressed concerns with the union over the pattern established in contract talks with General Motors and Fiat Chrysler Automobiles. Of particular worry to Ford are the changes to the 10-year wage grow-in period for new hires under the new GM and FCA contracts, Dias said. The contracts keep the 10-year grow-in period in place while giving workers wage increases each year, as opposed to a three-year wage freeze under the previous deals. 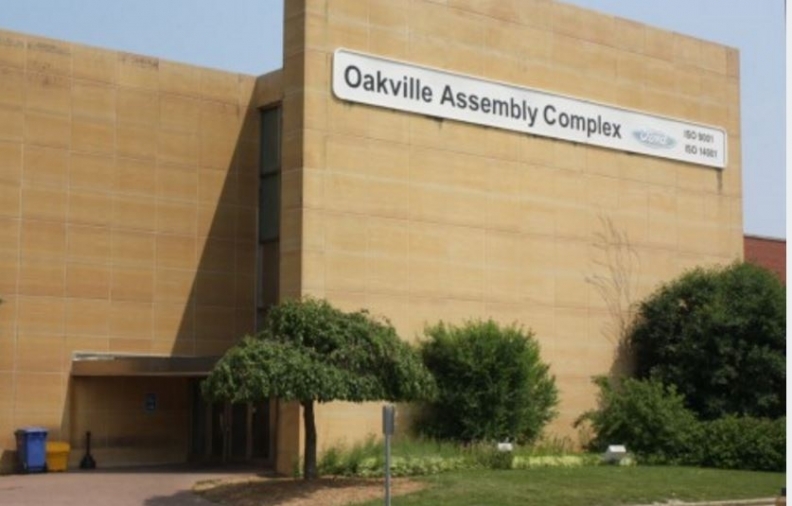 In 2014, Ford said it would hire about 1,000 hourly workers at its Oakville, Ontario, assembly plant, which received a $700 million investment from the automaker in 2013. The plant builds four crossovers: The Ford Edge, Ford Flex, Lincoln MKT and Lincoln MKX. “One of the reasons that I didn't select Ford [as the target company] was because after all my exploratory talks with the Detroit Three, it was clear that Ford was the least agreeable to make any sort of changes in the [wage] grid,” Dias said. Dias said Ford has also yet to budge on Unifor’s demand for investments at the two Windsor, Ont., engine plants, which employ about 1,400 hourly workers and are seen by the union as in desperate need of new product. The plants build V-8 and V-10 engines found in the Ford F-150 pickup and Ford Mustang, among other models. Dias said he is “confident” a deal will be reached with Ford before the 11:59 p.m. Eastern deadline on Monday, although he expressed frustration with what he called the “brutally slow” pace of negotiations. He said Ford’s third quarter earnings will not alter Unifor’s hardline stance on securing investment and wage gains. Ford said today its third-quarter net income plunged 56 percent to US$957 million (Cdn $1.27 billion). Negotiations with Ford follow those with GM and FCA. The contracts with the two automakers include a $6,000 signing bonus, as well as three $2,000 lump sum payments and two two-per-cent wage raises for veteran workers and a new defined-contribution retirement plan for new hires. They also include investments and product commitments at several key plants that Unifor identified as being in danger of closure. Dias dismissed concerns about a potential rift between union leadership and membership that arose when Dave Thomas, president of Unifor Local 707 in Oakville, said on Oct. 3 that the pattern established with GM “won’t ratify in Oakville.” Thomas said Oakville workers were expecting more generous wage provisions for new hires. “The bottom line, the local is responding to the concerns of their members, and I completely understand that. There isn’t some big rift,” Dias said. He characterized talks with Ford as being in “about the same place” as they were at similar points in negotiations with GM and FCA. In those cases, Unifor and the automakers reached tentative agreements just minutes before their respective strike deadlines. Should there be no agreement by midnight on Monday, more than 6,400 Ford workers represented by Unifor will immediately be in a position to strike, halting engine production in Windsor and vehicle production in Oakville. It would be the first strike by Canadian workers against a Detroit Three automaker since 1996, when the Canadian Auto Workers, Unifor’s predecessor, walked out on GM.